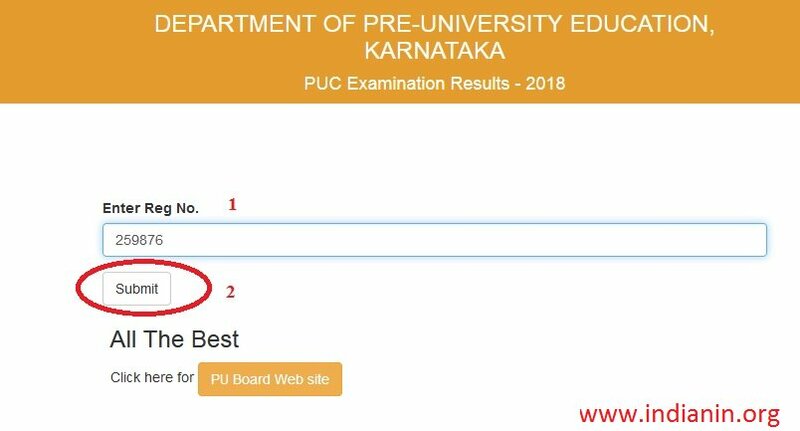 To announce the results of Karnataka PUC Pre University Certification Examination II results 2018, the Karnataka PUC Pre University Certification Examination II results 2018 has created 53 evaluation this year. Visit the Official website, click on “Result” Option in the Main Menu. Step 2 : Click Submit button, get your result displayed on the screen. ** A total of 6,90,150 students from 4,725 colleges had registered for the Karnataka Pre University 2nd year Certification Examination 2018. ** Arround 7 Lakhs students appear for Karnataka PUC Examinations every year. ** The pass percentage for Karnataka PUC Class 12 Result 2018 is 59.56%. Dakshina Kannada district tops the Karnataka PUC Class 12 Result 2018 , Second is Udipi . ** The Supplementary Karnataka PUC 2nd year Pre University Certification Examination are from 8th of June to 28th of June.